Here’s some info on a great workshop coming up this week on how to copyright dance. Choreography is Copyrightable is a 360ARTISTS initiative designed to inform and educate our choreographers about their rights under copyright law and the benefits of enforcing these rights. For choreographers to receive protection under copyright law, works must be fixed in a tangible medium of expression, (now known or later developed), from which they can be perceived, reproduced, or communicated ‐ directly or with the aid of a machine or device. This project is therefore specifically designed to provide the assistance needed for choreographers to have their works fixed, (via film or dance notation) thereby giving them protection under copyright and providing a way to PROVE ownership of their choreographed work. 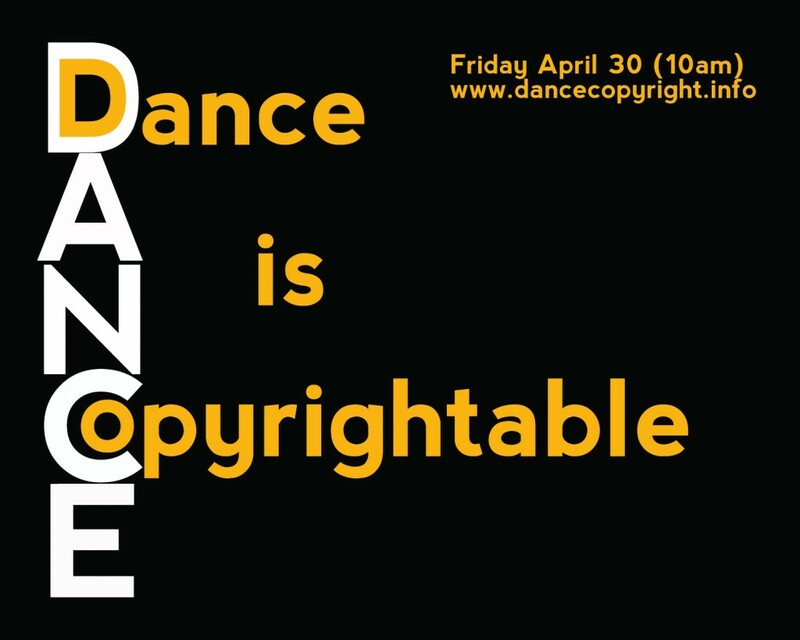 Choreography is Copyrightable will feature presentations by local Intellectual Property attorneys, JIPO representatives, Dance Notations experts and video presentations by the Dance Notation Bureau (NY). It’s critical to keep in mind that in this age of YouTube and video phones, work can easily be stolen. Copryrighting work is the only protection against this, in the same way that artists and musicians are protected from others using their works without permission. For more info see dancecopyright.info or on facebook or email dancecopyright@gmail.com.